This is a story of generosity, of kindness and of garden gnomes. You may remember the great ‘Gnome Massacre’ at Echills Wood Railway in Kingsbury Water Park earlier this year, where dozens of gnomes that had been donated over the years were smashed overnight by vandals. Well, one Tamworth based group decided that they wanted to help. SkillsTank from CareFirst, a group for adults with special needs, bought and handpainted several gnomes with the intention of donating them to the railway in replacement of the damaged population, and this week they were able to donate them in person. Such an act of generosity gets repaid in kind! When the Echills Wood Railway volunteers heard that SkillsTank were visiting Kingsbury Water Park with their gnomes, they decided to put on a special chartered train ride for the group. 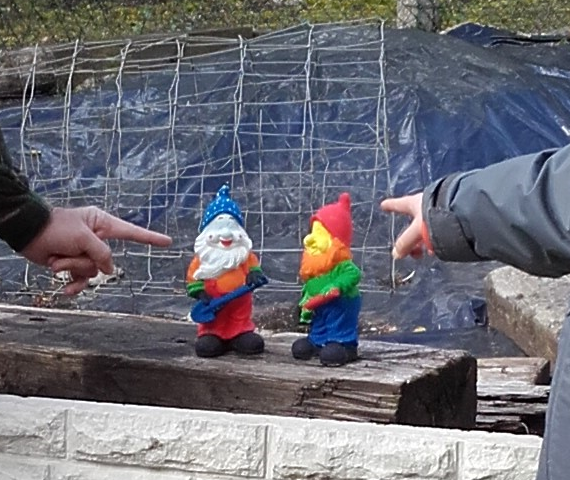 After being met and briefed by Railway staff, we were taken round to the new gnome village, where the group were able to give their gnomes a new home next to the railway lines. This was followed by not one, but two, circuits around the Park on the toy trains, put on especially for the SkillsTank group. 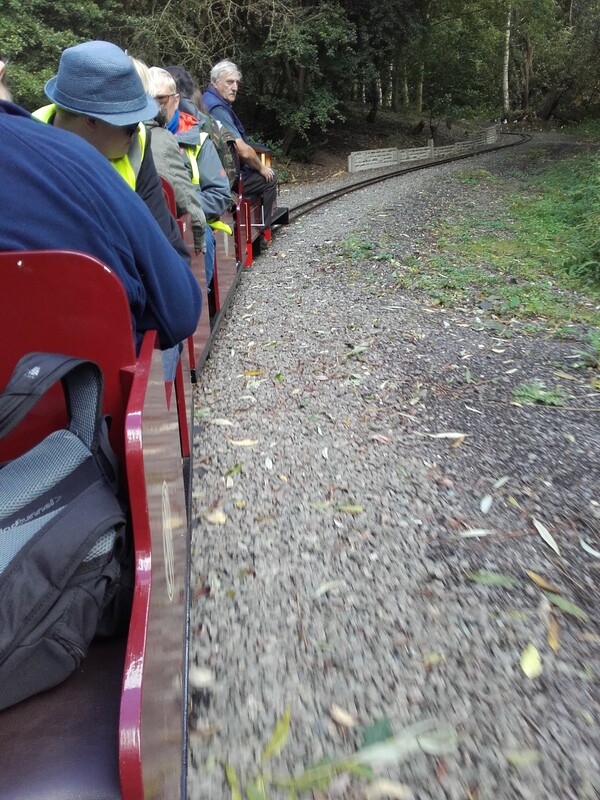 The friendliness and kindness of the Railway staff was met with vigorous waving all the way round the tracks! This entry was posted in Blog, Latest News, youth on 15th September 2017 by Nicola.